Our toddler daycare Program is for children between 12 and 36 months old. Ages may vary in each classroom depending on child development and space availability. We have 4 toddler classrooms, and they all use the Tadpoles Program daily report system also used in the Infant Room. This program allows us to communicate with parents via email or the app on the daily progress of their toddlers complete with picture and video capabilities. Prior to advancing from the Infant Room, we give your child the opportunity to visit the Young Toddler Room, where they will see friends who have already moved up as well as meet new friends. These new rooms are larger than the Infant Room with more space for your child to perfect his or her walking skills. They are also equipped with age appropriate toys and games. Baby daycare has never been so stimulating! At Cross Timbers, your toddler will begin to learn about sharing, exploring, learning through play, understanding, walking in a line, and taking turns. The children in our program are allowed to develop at their own paces while encouraged to interact with the teacher and each other. They increase their social skills through play-based learning, and they improve their tactile skills through art projects, sensory table play, and time outside. The toddlers enjoy their own playground with age appropriate climbing and riding toys, and our teachers use toys, books, and songs that will assist them with their budding language skills as a part of a curriculum designed to prepare them for the preschool classroom. 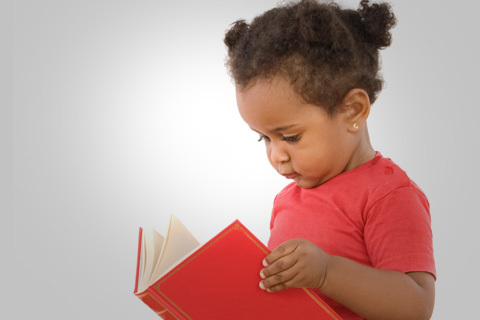 Your child will be exposed to a variety of stimuli to encourage intellectual, social, physical, and emotional growth. This affordable daycare program is designed to allow children to explore independently as well as be a part of structured activities in both large and small groups. 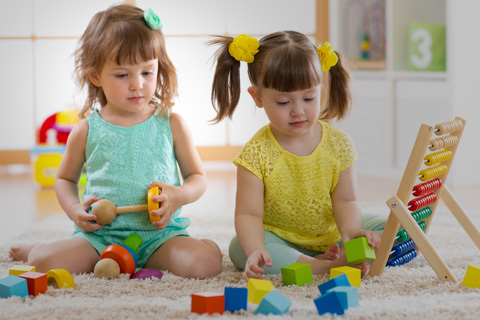 If you have a toddler between the ages of 12 and 36 months and are looking for a premium daycare facility near Owasso, contact our toddler day care facility today! When your toddler is ready to move on to the next level of daycare, we offer pre-kindergarten programs and an exceptional private kindergarten school for continuous learning child opportunities. Schedule a walkthrough of our friendly facility or contact our child care professionals online today!